The first three chapters of EE concern the development of shale gas resources and, more specifically, the use of "fracking" technology to access these reserves. Special attention is paid to the acrimonious debates that have erupted in South Africa, as energy companies seek to explore the substantial reserves that are believed to lie under an environmental sensitive, semi-desert area known as the Karoo. One of the book's strong points is that it manages to distil technical subjects into language that can easily be understood by non-specialists. At the same time, Vegter generally -- though not always, as we shall see -- does an admirable job in preserving the key processes and controversies involved in these complex issues. The early chapters of EE provide a good example as he brings his readers up to speed with a clear summary of how fracking (i.e. hydraulic fracturing) actually works, before moving on to a discussion of the various risks involved. Given the theme of the book, it will not surprise that he considers the dangers of fracking to be much overstated and certainly outweighed by the prospective benefits. Vegter writes (p. 12) that when his attentions were initially drawn to warnings about fracking activities in the Karoo, his "first instincts, informed by [environmental activist, Lewis] Pugh's speech and the popular press, were to oppose it". Curiously enough, elsewhere he has credited Pugh's speech for being "so shrill, so full of hysteria" that he was compelled to reconsider these selfsame first instincts. Whatever the case, he has since spent considerable time investigating the topic and now acts as something of a thorn in the flesh of fracking opponents via his online columns. Chapter two thus opens with a withering critique of the film Gasland, a controversial documentary film that purports to show the imminent risks posed by fracking and consequently championed by the anti-fracking brigade. If he is effective in highlighting the numerous flaws of Gasland, Vegter is less successful when he tries to draw wider inferences on the forces that shape general environmental trends. For example (p. 45), "Even in the developing world, the data show that environmental quality improves as foreign investment increases." Sweeping statements like this are simply too glib and do not accurately convey the disagreements and nuances that characterise our understanding of such issues. For instance, and though Vegter fails to name the theory that embodies the concept which he is discussing, the scientific literature is still rather equivocal about the Environmental Kuznet's Curve. Even the name of the theory itself -- referring to a "U"-shaped relationship -- implies that economic growth will have first negative and then positive impacts on environmental outcomes depending on the level of development. There are certainly important distinctions to be made about pollution levels versus intensity that the book does not address. I had similar reservations when reading Vegter's (qualified) defence of Shell Oil and it's record in the Niger Delta. It is true that the majority of blame for that unfortunate episode can probably be apportioned to the Nigerian government and, ironically, local activists whose sabotaging of pipelines led to the bulk of oil spills in the region. However, EE makes no mention of the bribery charges that Shell has been found guilty of in its West Africa dealings. As the saying goes, if you're going to dance with the devil then prepare to get burned. Shell may have learned the hard lessons from these experiences and the legal institutions of South Africa are undoubtedly more robust than other parts of the continent. However, given that corruption remains a high-profile problem in South Africa, the country's citizens may have legitimate reasons to worry that crony capitalistic dealings might trump environmental concerns. Similarly, a brief discussion of the South African legal system as regards full versus limited liability for environmental accidents would have been a welcome addition to the book. Chapter three continues in much the same vein by considering -- and dismissing -- many of the exaggerated claims made by the anti-fracking lobby. For example, the book highlights the numerous faults associated with a much-discussed paper by Howarth et al. (2011), which ostensibly shows that fugitive methane emissions could result in natural gas being more damaging to the climate than coal. This study came in for substantial criticism at the time for making unjustifiably strong statements on the back of poor data and it is not surprising to see that Vegter has picked up on it. However, his discussion of the beleaguered Howarth et al. paper also typifies some of the problems that I have with the book. For despite taking on a rather soft target, Vegter still manages to make misleading arguments in his haste to vilify the study; e.g. there is no "accepted [standard] for comparing greenhouse gas impact over time" (p. 59). Some respected researchers argue that 20 years is the relevant time-scale that we should be focused on... Others insist that our forecasting efforts should be concentrated on the very long-term (200 years and beyond), since the effects of climate change are highly persistent. Of course, Vegter should know something about this since one of the very sources that he quotes from -- a blog post by the excellent Michael Levi -- makes this point explicit: "[Any choice of time-frame] is a judgment call, and one shouldn't assume that a 100-year time frame is the best way of looking at every problem. "[*] Ultimately, the problem with this gas-vs-coal issue is that we still lack sufficient data to make an educated call. My own sense is that gas can act as a bridge fuel, although that remains open to revision as new data comes to bear. On that score, however, environmental groups certainly have no better information than the rest of us. Vegter is thus correct in his overarching thesis that some of these organisations are cherry-picking data to lobby for prior restraint. He is particularly effective in dispensing with the curious notion that uncertainty about the true extent of shale reserves is somehow reasonable cause to prohibit companies from further exploration, or taking on normal business risks in a market economy. Chapter four of EE moves on to a discussion of the relative dangers of pesticide use in modern agriculture, as well as the health risks posed by the preservatives and chemicals that are found in our food and vaccines. The very balanced discussion given to the legacy of Rachel Carson -- anti-DDT campaigner and often credited as the "founder" of the modern environmental movement -- make this one of the strongest sections of the book. Equally convincing is his dispensing of cancer scares, as a result of technological progress. (For one thing, cancer rates appear to be rising simply because we are living much longer and we have become much better at detecting the disease.) Again, however, I have some criticisms here. My first gripe is actually one of omission: Why is there no discussion about genetically-modified food and organisms (GMOs)? I confess that I found the lack of coverage given to this particularly issue to be rather baffling in a book such as this. The GMO debate is one of the most interesting battles currently taking place within the modern environmental movement, as progressive greens like Mark Lynas and Stewart Brand take on the Luddite prejudices of some of their environmentalist counterparts. My second, related criticism is that Vegter is unfairly characterising the resistance to modern food practices and chemicals as somehow representative of, or even unique to, environmental groups. [**] His thesis becomes less convincing the more he appears willing to shoehorn any anti-scientific prejudice into an environmentalist framework. (Do anti-vaccinists celebrities like Jenny McCarthy and Jim Carey qualify as part of the environmental movement?) This criticism holds true for other parts of the book as well. In chapters five and six, we are taken to the heart of two of the most prominent environmental(?) disasters of recent years. First, the catastrophic earthquake and ensuing tsunami that crippled Japan in 2011, which then left the Fukushima nuclear plant facing a possible meltdown. Second, the BP Deepwater Horizon oil spill in the Gulf of Mexico. The overriding message from these pages is that such events -- while undeniably tragic in many ways -- need to be placed into context. I don't just mean in the greater scheme of things, but also in terms of their various consequences. In the instance of Japan, Vegter makes a powerful case that environmental concerns about possible nuclear contamination unduly hijacked the international mindset in the midst of an entirely more obvious humanitarian disaster (due to the earthquake and tsunami). One may perhaps question whether such matters are mutually exclusive. However, I was struck by his sombre observation that, despite the staggering economic cost and loss of life over much of eastern Japan, the event has become indelibly associated with the stricken nuclear plant: "Less than a year later, the disaster is remembered among most of us by one name only: Fukushima." (p. 110). Vegter goes on to dissect a number of safety concerns related to nuclear power. As a supporter of the technology, I think he does a good job in dispelling some persistent misconceptions about the dangers of nuclear energy. Mind you, he does misstep at times. Describing the level of radiation around Fukushima against the entire volume of the Pacific Ocean (p. 116) is -- to invoke a phrase that Vegter himself uses only a few pages later -- a "perfectly meaningless comparison"... Particularly for residents of eastern Japan, I would think. And the NIMBY ("not in my back yard") attitude that people exhibit towards nuclear plants has very little to do with background radiation in my experience (p. 128), and much more to do with the fear of being in the proximity of a plant meltdown. The book does acknowledge that not all environmentalists are opposed to nuclear power, specifically naming James Lovelock and George Monbiot as proponents. I think it fair to go further by saying there are many among the green faction that actively endorse the technology nowadays. Other high-profile converts include the aforementioned Stewart Brand and Mark Lynas, while the non-profit organisation Environmentalists for Nuclear Energy claims to have over 10,000 members and supporters. The discussion on the Deepwater Horizon oil spill is less consistent than its predecessor, interspersing insightful passages with more dubious ones. I would, for starters, be less sanguine about the safety history of the Deepwater rig, given that BP's regional operations had achieved a fairly disturbing safety record until that point. However, other passages veer closer to being deliberately misleading; for instance, the section titled "The Sea is Full of Oil" (pp. 150-153). Describing the vast numbers of ships that were sunk during World War II -- 7,800, including 860 oil tankers -- Vegter sarcastically inquires whether anyone recalls their grandparents and parents "complaining about catastrophic death of the oceans after the war?" Quite how this is supposed to be a profound or relevant insight, given the utter devastation and pressing concerns of the time, is beyond me. More to the point, a lot of oil did wash up on the shoreline in the years that followed WWII, and it was expected that beaches would be fairly littered with tar balls in certain parts of the world. That said, the bulk of oil from these stranded vessels is believed to still be encased within their hulls, which are corroding very slowly. Indeed, this forms an active area of research as experts are trying to prioritize the expensive extraction of oil that is threatening to spill out from their underwater enclosures. Vegter's account of the oil spills that resulted during the Persian Gulf War of the early 1990s is equally disingenuous. We are told only of an early report from 1993 that provided an optimistic view of the long-term damage potential to the region. No mention is made of newer research that has cast a much more sombre assessment of the environmental effects that are still being felt. Topping off a poor section are a few paragraphs relating how natural seeps are the biggest source (46%) of oil in the ocean. This is true as far as it goes, but largely irrelevant. Much like the climate system, natural oil sinks and cycles have established parity over millions of years. Spills resulting from human activity are certainly enough to overwhelm the conventional processes of bio-degradation that would normally take care of natural seeps. I have other criticisms of chapter six -- interior environmental lobbying can in no way be construed as "the very reason" (p. 156) that energy companies have moved to offshore drilling -- but don't wish to drag things out. These parts do undermine the book, but Vegter presents a reasonable case on balance. The argument that some of the more catastrophic pronouncements are demonstrably false and counter-productive is a sound one. (Albeit if a few of these sensationalist quotes come from obscure figures and fringe groups.) It is also important to emphasise that he appears to regard the Deepwater Horizon spill as something very serious, even if that message is lost at times when he tries too hard to make oil spills appear benign. If the previous chapters had much to recommend them -- in spite of some of the flaws that I have mentioned above -- things begin to unravel in the latter part of the book. The often measured tone of those earlier pages is replaced by an increasingly polemical edge. Chapter seven is meant to provide a survey of logical fallacies and rhetorical tricks that are common to heated debates such as these. However, I found the writing here to be self-absorbed and curiously patronising. Worse still is the irony that sees Vegter commit a number of sins that he haughtily warns against. I have already discussed some of the instances where he provides misleading context and numbers to boost his own arguments. Another example of emotionally misleading rhetoric occurs on p. 185 when he adopts the well-worn tact of comparing climate change sceptics to the noble dissenters of yore: "There once was a consensus that the sun orbited around the earth. Sceptics were declared heretics, and were burned at the stake." (This seems an appropriate moment to mention one of my own favourite logical fallacies; the Galileo gambit.) To further equate our current understanding of the climatic system (as evidenced by the vast majority of practising scientists and scientific bodies) with the medieval practices that dominated "medical" thinking until the 19th century, is one of the more bizarre cases of false equivalence that I can think of. The chapter concludes with a rather sententious lecture on the use of the word "denialism", which is an apparently loaded term that has overt references to the Holocaust. (Really? Could it not just mean someone who denies something?) We are referred to a newspaper op-ed by Australian scientist, Peter Christoff, as direct evidence that those who label others as climate deniers are immediately conflating reasonable doubt with a second coming of the Nazis. Reading through Christoff's article, however, it seems to me that he takes some pain to distinguish between the more commonly used "sceptic" and unthinking "denier". It should also be said that the presentation of all deniers sceptics as reasonable people with scientifically informed opinions is a massive red herring in of itself. Now, it may well be that Vegter is making a valid point about the knee-jerk Hitler association in certain cases. The climate change debate brings out the extreme in people. And yet, as I read these pages, I wondered whether he is in the habit of objecting quite so vociferously to, say, James Delingpole's sweeping description of environmental groups and climate organisations as "fascists", "communists" and, indeed, "Nazis". (I doubt it.) Or Christopher Monckton labelling a group of young climate activists "The Hitler Youth". (Ditto.) Both sides are undeniably guilty of using pejorative language and it must be said that EE delights in its frequent use of terms like "alarmists". At any rate, such distinctions may be something of a moot point: Despite the protestations of Mr Vegter, I have come across many people who wear the badge of "climate denier" with pride. He should perhaps direct his umbrage at them. And so we turn to chapter eight, the actual part of EE that deals with (man-made) climate change. This is easily the weakest chapter of the book, as Vegter more or less sets out to establish that the whole thing is political conspiracy weaved by a cabal of crooked scientists and venal bureaucrats. It would take a lengthy post of its own to address the various claims that he makes, but I'll do my best to keep this as short as possible. The early part of the chapter centres on the "hockey stick" graph of historic global temperatures, with the work of two sceptic Canadian researchers, Steve McIntyre and Ross McKitrick, featuring prominently. The science underlying all of this relates to reconstructions of past climate records and is pretty technical stuff involving proxy data and statistical compiling methods. Going into details is beyond the scope of this review. (UPDATE: See this post for a simple explanation.) Suffice it to say that I have spent a great deal of time studying the matter and remain very much unconvinced by the sceptic arguments. The initial "hockey stick" of Mann et al. (1998) has since been confirmed by multiple studies and lines of evidence. For their part, the work of McIntyre and McKitrick has been subjected to severe scrutiny that highlighted numerous flaws in their approach. We are not told any of this in EE, of course, and the sceptic case is presented as the sanitised gospel. Those interested in learning more should click the above links. A more thorough dissection of McIntyre and McKitrick's work can be found here. Another source that Vegter uses to build his case against anthropogenic climate change is Californian physicist, Richard Mueller. What he again fails to tell his readers is that Mueller has had a very public change of heart on the issue of climate change. This, after he headed the Berkeley Earth Surface Temperature (B.E.S.T.) project; a much-heralded initiative by sceptics, which aims to independently assess and compile all available climate data in a way that actively addresses their concerns. (These concerns had pretty much already been addressed by those working in the field, but no matter...) Mueller's team found what climate scientists all over the world had already understood for many years: the earth is warming and humans are almost certainly the primary cause. Indeed, he penned a widely-cited newspaper op-ed in the wake of these findings last year, which began with the admission: "Call me a converted skeptic." Needless to say, the selfsame sceptics who initially championed his project were quick to distance themselves from it once the conclusions didn't meet with their expectations. Unsurprisingly, the Intergovernmental Panel on Climate Change (IPCC) does not escape Vegter's criticism either and a tremendous fuss is made about several (i.e. two) errors that have been found within it's most recent Fourth Assessment Report (AR4). Both of these cases, exquisitely hyped as they are, are obviously unfortunate. However, neither was in any conceivable way critical to the main messages of the report, which moreover extends to roughly 3,000 pages in total. The notion that the entire edifice of IPCC should now be cast into doubt is quite absurd. As has been pointed out elsewhere, such mistakes would suggest that the IPCC has an error rate approximate to that of Encyclopaedia Britannica. I say this with a touch of irony, since Vegter sees fit to open the chapter with two authoritative quotes from this very source (pp. 196, 197). Part of what irritated me most about chapter eight is that it suffers from a general air of duplicity. As an example: For all the contempt that Vegter shows in discussing the aforementioned film, Gasland, he is now only too happy to quote from a documentary that is even more plagued by controversy, The Great Global Warming Swindle. For those of you that have a few minutes to spare, this YouTube video catalogues some of the more egregious errors of TGGWS. Similarly, we are told that climate scientists are colluding in a bid to fabricate data and deceive the public with a misleading veneer of consensus... only for the "Climategate" emails to be used a few pages later as evidence that these selfsame scientists are highly critical of each other and open to voicing vigorous disagreement in their private correspondence. I expect that you will have as much trouble reconciling these contradictory claims as I did. The one aspect of climate change that I do agree with Vegter on, is that uncertainty is central to the debate. Unfortunately, I think he draws his conclusion on precisely the wrong side of this issue. His reasoning is underpinned by a (quote unquote, p. 213) "logical approach" that is, frankly, unsatisfactory in the extreme. First, he lists ten sequential pieces of evidence that are required for him to believe that climate change is worthy of dramatic action. [***] Vegter then proudly asserts that we only need to cast doubt on one or two of them before "the entire theory starts coming apart at the seams". And that should give you an idea as to what it is wrong with this framework, which simply encourages epistemic closure. It is a daisy chain of reasoning so constructed as to obviate any possibility of a response to climate change. Vegter implicitly illustrates this point when he tells us that ascribing a 50-50 probability to each of his ten statements would mean that the chance of requiring action on climate change is a mere one in a thousand. But in this set-up, virtually any probability would fail to yield a call to action. Indeed, you could attribute a 90% chance to each of the ten statements and still only find that you are left with a (0.9^10 =) 35% probability of required action at the end. If this is your framework, then it is no surprise that you are unmoved by arguments for acting against climate change. There truly is no reasonable way to convince you. There is, of course, a word for positions that aren't open to being challenged: unscientific. Now, there is a vast economic literature dealing with uncertainty and it's relevance for decision-making on climate change. And, as it happens, I have an older post that covers things in more depth and explains exactly what is wrong with the type of approach adopted by Vegter. The summary version is that we could construct an arbitrary long sequence of steps leading up to any trivial event, only to dissolve in a sea of indecision if this were truly our framework for decision making. We wouldn't buy any insurance, would never go on holiday, and so on and so forth. Instead, the only sensible way to deal with matters of uncertainty is to establish the probabilities of each outcome and then multiply them by their potential benefits/costs. This "expected utility" approach is the departure point for much of climate change economics, which overwhelmingly rejects the case for inaction. (The exact level of action is another matter, and I'll simply say here that most analyses suggest a carbon price far below anything that could conceivably bankrupt modern society.) More complex approaches to uncertainty, accounting for ambiguity and so forth, provide even more compelling cases for intervention. To make a final point on this issue of uncertainty, I would say that the most audacious example of certitude in EE actually comes from the sceptic camp. Vegter approvingly quotes William Alexander, a retired South African scientist on p. 209, who breathlessly describes i) the assumption that humans can influence the climate, and ii) the notion that increased global temperatures can affect the climate, as both being "provably false" . (What was the fuss about deniers again?) You heard that right: The world's scientific community has been in thrall to ideas that are demonstrably untrue for decades. Step forward, Professor Alexander, your Nobel Prize awaits! All this is not to say that Vegter is wrong to call out prominent persons like former South African judge, Mervyn King, who apparently stated that world faces an eight metre rise in sea levels at present trajectories. The science does not support anything close to that mark, albeit that current predictions do not account for some of the more dramatic ice loss processes that have been omitted altogether due to uncertainty on how they may evolve. The problem, rather, is that he does not offer a more satisfactory analysis than the extreme environmentalists whom he opposes, and so helps to entrench the polarised positions that preclude any sensible response to the problem. I feel it is time that this review was brought to a close and so will not provide any specific comments on the last two chapters in EE, numbers nine and ten. It may be sufficient to say that, like much of the rest of the book, there are parts that I strongly agree with, and others that I think need to be seriously challenged. As an aside, however, let me perhaps add that this is where Vegter's skill as a wordsmith is most clearly evident. The prose in these final chapters is crisp and eloquent, so that you may find reason to enjoy his writing even in those moments where you disagree vehemently with what he is saying. So, where does that leave us? Would I recommend EE to friends and family? I suppose the answer would have to be a qualified "yes". EE is not a book without its flaws, as my review will have indicated. The climate change discussion is especially poor in my opinion and you would do well to avoid it altogether. Vegter also guilty at times of presenting a tendentious reading of the facts elsewhere. Upon finishing EE you would, for example, be forgiven for thinking that all greens are rabidly opposed to fracking, but even this simply isn't true. Which leads me to a general criticism that I have not properly elaborated on: Too often it feels like we are being presented with an unfair caricature of the environmental movement, where the position of one or two individuals are established as the de facto view of the entire environmentalist cause. Many of the more absurd claims that Vegter pillories certainly belong to obscure persons or fringe organisations that I -- and I expect most others -- have never heard of. Not that there aren't egregious examples from better-known persons, but his writing does smack of mendacious quote-mining at times. The world would be a pretty unbearable place if we all had to answer for the actions of those who proclaim to subscribe to our preferred ideologies. Nonetheless, such issues are outweighed on balance by the strong parts of the book. You will find much to provoke and inform here, as well as a veritable treasure chest of facts to mull over. It would be a grave mistake to take Vegter's word as the final say on the matter, but this book will be useful even to the most impassioned environmentalist who is interested in understanding how the other side thinks. [*] FWIW, I am also not entirely convinced that the charge of using incorrect energy units (GJ vs kWh) is as strong as Levi suggests in the above article. Certainly Vegter's brief relaying of the issue gives no insight into the underlying controversy, which is a really matter of conversion efficiency and what the fuel is used for (e.g. electricity or heating). However, that is a lengthy topic in of itself and so remains a subject for another day. [**] As one example among many, the burgeoning "paleo" (or primal) food movement abhors the use of non-natural additives in its dietary recommendations. And yet this group, which primarily champions the avoidance of grains in favour of animal proteins and fats, could hardly be classified as environmentalist. Indeed, a large swathe of its membership appears to share Vegter's own libertarian leanings. [***] It must be noted that Vegter has set up an obvious false dichotomy here, i.e. that we either do nothing about global warming or we must spend our last pennies fighting the scourge. If this is his belief, then I'm afraid he is no better than the extreme environmentalists that he expresses such disdain for. Further, many of the ten individual statements in his list are dubious in of themselves. Among other things, he makes the febrile suggestion that granting government powers to correct for an externality is equivalent to "fascism". There's also a lengthy discussion to be had on the way in which he sequences these items. However, I'll simply refer readers to this post, which pinpoints similar problems in an analogous argument. Grant, this is an amazing review. Well done. Where do you get the time to do this kind of research? Wow Grant. Excellent... Thank you. It's interesting, people seem very divided by Ivo -- they either love him or hate him -- but I've found him to be more than reasonable and willing to engage if you are civil... (He described this review as "Tough, but largely fair, even on those points where we evidently disagree.") Also, as I said, there are are parts of the book that I really liked in spite of my criticisms. Great review. Really in-depth and, i think, a refreshingly genuine attempt at engagement with an author who is clearly misguided on the issue of climate change. That said, i do have one or two comments. Firstly, i think you are too gentle in some of your criticisms. To describe the The Great Global Warming Swindle as a documentary 'plagued by controversy', is to greatly understate the extent to which that 'documentary' has been shown to be baseless and organised in a fashion which is overtly intellectually dishonest. Second, i think you don't do justice to what you refer to as the 'climategate emails' - i think that even the name lends too much legitimacy to sceptic claims about them. The extent to which those emails were misrepresented in sceptic accounts has been shown elsewhere (http://www.guardian.co.uk/environment/2010/feb/09/climategate-bogus-sceptics-lies), while 8 different committees conducted investigations into the controversy, all finding no no evidence of fraud or scientific misconduct. With this in mind the most remarkable thing about those emails is the extent to which they are still invoked as any sort of meaningful critique of climate scientists - itself highlighting the dominance of baseless sceptic influence - and the extent to which they highlight utter failure of the established media (a few outlets excluded) to report comprehensively on climate change. Finally, there is a comment which i think needs to be made in the context of these sorts of discussions. The debate being had in this book, and in your review, is entirely about levels of knowledge regarding environmental fragility (itself a proxy for social (in)security) and the role of technology in overcoming these problems. While these discussions are theoretically important (and will become increasingly important as the climate changes and the world's population increases (and grows more wealthy)), they are not as benign as they seem to describe themselves. For central to such discussions is the de-politicisation of the problems they are describing. The problem is that in such discussions, issues are described as if they affect all of mankind equally. As such the tend to focus on absolute limits: regarding production and exposure. All of this ignores the fact that vulnerability theory has, for the last 25 years, relentlessly told us that it is not a lack of absolute production which lies at the heart of human insecurity, but rather access to that production. The danger with the sorts of technocratic accounts of 'environmental problems', described in this book, is that they ignore all of this context. In so doing they reduce the discussion about what we should do to simple technical trade-offs, ignoring what the impact of these decisions might be on access (which is what really matters). This is dangerous because increasing the production of goods which people have less control over renders such 'solutions' useless. Thus our discussion over fracking, nuclear, GMO, the Niger Delta (etc.) all need to also ask: what happens to control over these resources when we decide on certain developmental solutions (to my mind this will be more revealing of the dynamics of the Niger Delta, than trying to lay blame on either the corporation, the state or local activists). The major problem with large technical solutions (fracking, nuclear, GMO) is that they tend to place control over resources in fewer and fewer hands. Much existing evidence in the development-environment literature suggests that such solutions won't address the problems they are being touted as solving. In fact, they may make many of them worse. I agree, for example, that the exclusion of local inhabitants in the Niger Delta is the defining feature of that saga. My brief discussion probably did not do the issue full justice. "Vegter sarcastically inquires whether anyone recalls their grandparents and parents "complaining about catastrophic death of the oceans after the war?" is the stupidest statement I have read today. Of course there are examples of environmentalists making mistakes or being hyperbolic. But judging a movement by its worst arguments - which is what Vegter seems to do - is the tactic of the intellectually dishonest. As a side note, Vegter (and perhaps your?) use of probability seems spurious to me. The nature of climate change is clearly a prime example of irreducible uncertainty, to which we simply cannot attach a value. Many of the comments here assume that Vegter is against all environmentalists. 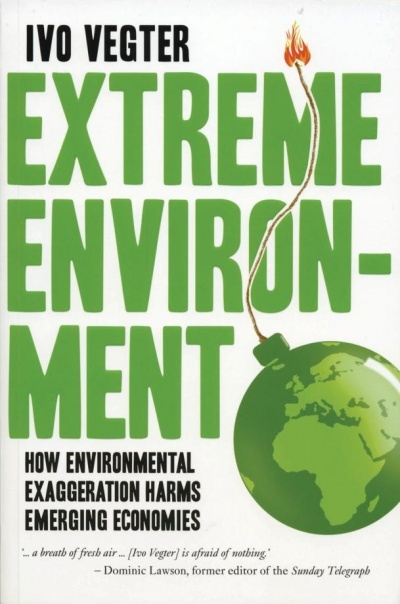 However, the book is about "Extreme" environmentalists of the fundamentalist type. Perhaps, but it is highly debatable whether this message is generally conveyed by the book. Certainly, it was not the impression that I was left with -- as indicated by my review. Brilliant review...and spot on re: climate change. I wonder what he says about the most recent data, 97% of scientists agreeing that current climate change is manmade. Actually, I don't wonder what he says about that. Climate Change is a meaningless description of what the proponents of it really means. They mean Global Warming caused by the release of global warming gases, CO2, methane, water vapor etc which they claim will cause 1. Global rise in temperatures causing ice caps to melt and sea-levels to rise 2. Increased uncertainty about weather conditions and an increase in storms / too much rain in mostly easter parts of continents and droughts on mostly western parts of continents. The climate CONSTANTLY changes if it didn't life on earth would not have existed the way it does. So why not use the term Global Warming? If Climate Change is the real problem coupled to Global Warming then maybe a longer but still accurate term to be used can be Climate Changed induced by Global Warming. But let's think about a warming globe. The globe was warmer in the past. 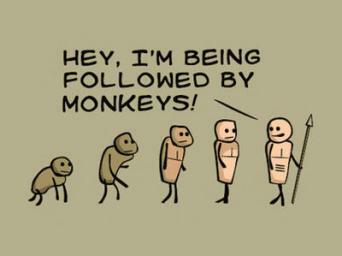 Especially in the age of dinosaurs. These enormous animals survived because there was more plant material in the food change probably because it rained more and the global temperature was warmer creating more equatorial conditions and moderate climate regions all over the world . It was probably because there was more water in circulation on earth and not iced-up in the pole caps and glaciers. So is global warming really such a big issue? Past warmer conditions was not created by human activity but by solar activity. Colder conditions is also caused by solar conditions but also volcanic activity and possibly by huge meteorite impacts which both create cloudy conditions which keep sunlight away from the earth's surface. The cosmological and solar "climate" is not constant, it goes through cycles just as our planetary climate goes through cycles. Environmental degradation, mostly deforestation of equatorial and boreal forests, as well as pollution of air, water, soil and food chain (plants & animals) is the real problem. CO2 is a natural part of the environment and plants thrive on it. They need it for photosynthesis a process that is the key of life on earth. Without it, virtually no food chain as we know it, would exist. So global warming as such cannot really be a threat to humanity. An increase in unpredictable weather patterns is the biggest threat. But is it caused by human generated green house gases? Maybe you should investigate HAARP and other weapons of climate warfare. The HAARP installation in Alaska is a US Military research facility. Military research is to create weapons. If it was a civilian research institute, it would be open to visitors and collaborative research projects with scientific research projects with other countries. It is a classified research institute that classify their research. I agree with Ivo on so-called Climate Change but for different reasons. To me it is real but the cause of it is not human industrial activity but climate warfare. Global warming doesn't seem to be happening. Has global temperatures increases as predicted? I disagree with Ivo on most issues especially his stance on GE food (or rather non-stance in this book) and his whole view of environmental protection and industrialization. I think he gets nice commissions from polluting corporates to publish friendly articles in news papers and in the books he writes. Who funded the writing of this book? I really do appreciate people taking the time and effort to comment on this blog. However, this particular comment is just a rambling confusion of non sequiturs and conspiratorial claptrap. I don't even know where to start, so I won't. "Very balanced view of Rachel Carson." He concludes she was right, then? I hadn't expected that from Vegter.